Find out for free how easy it is to maintain your hedges with our no-cost site surveys and quotes. Phone Steve Molyneux Tree Care of Hastings, East Sussex, for a whole host of upkeep services from a reliable tree surgeon. resistance of the tree. The overall size and shape of the tree does not change. amount to make it more suited to its position. using rope-lowering systems. 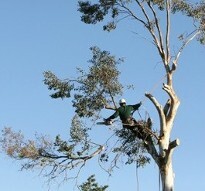 Felling is a last resort for healthy trees. from 300 to 350mm below the surface will remove the stump. We’ll reduce our machine to 70cm in width when there is restricted access. Contact Steve Molyneux Tree Care for a reliable tree surgeon who’ll keep your trees in good health.